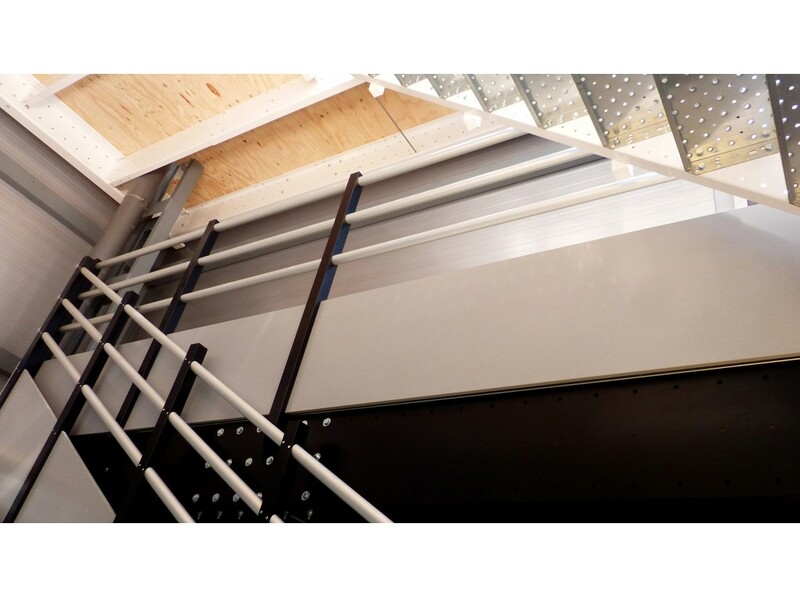 The public use railing is a security element suitable to be installed in any Tecrostar mezzanine belonging to the M and L ranges. 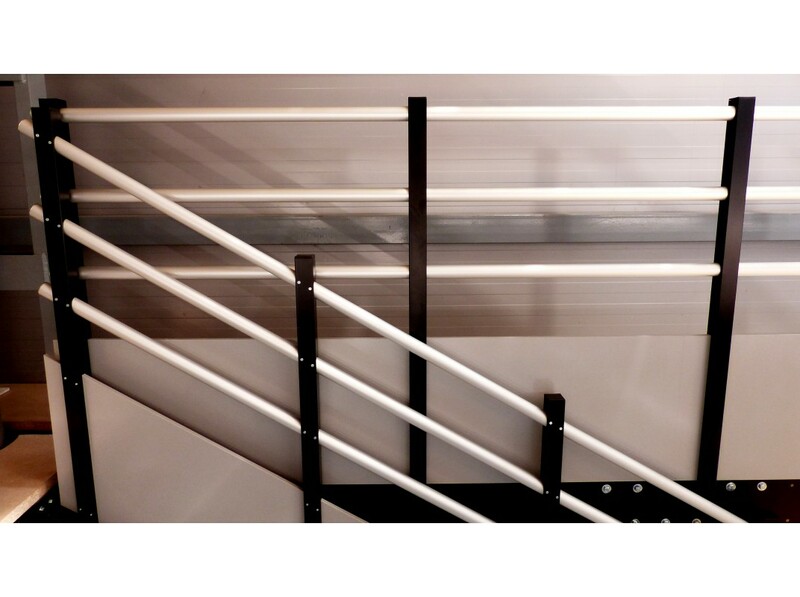 It is made of steel and the aluminium handrail tubes can have different finishes. This railing tops the mezzanine to reduce the height risk. 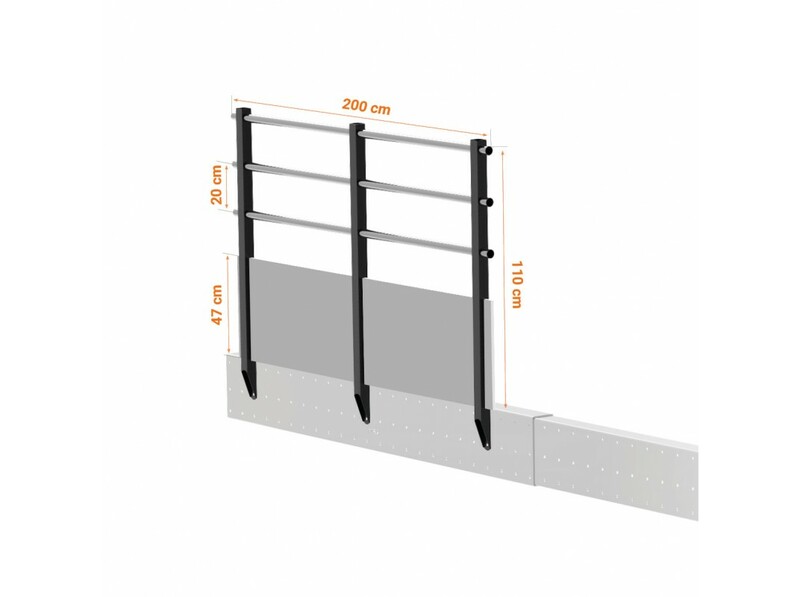 Although its maximum length is 2 meters, it can be adapted to the different features of your space modularly. 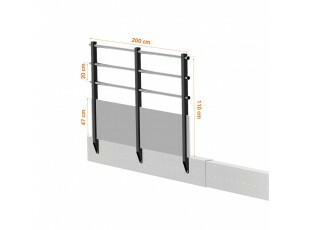 This railing is easy to assemble, with no need of works and completely safe. The public use railing kit is formed by three posts, plugs, handrail tubes, skirting board and screws to fix this element to any Tecrostar mezzanine of the M and L ranges. It meets the french regulations. Once it is installed, it reaches a height of 110 cm and a length of 200 cm. The wooden skirting board measures 47 cm and the distance between each of the three handrail tubes is 20 cm. 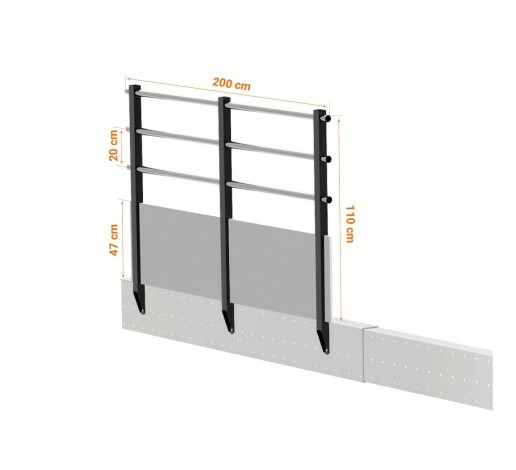 The public use railing can be located in a Mezzanine TXL32 as well, for which you would need to acquire the appropriate connectors.